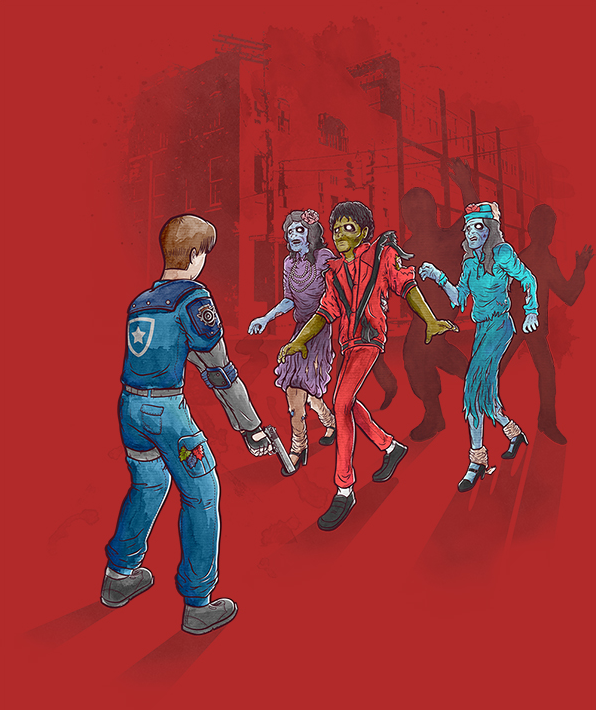 Leon in Michael Jackson's Thriller!. 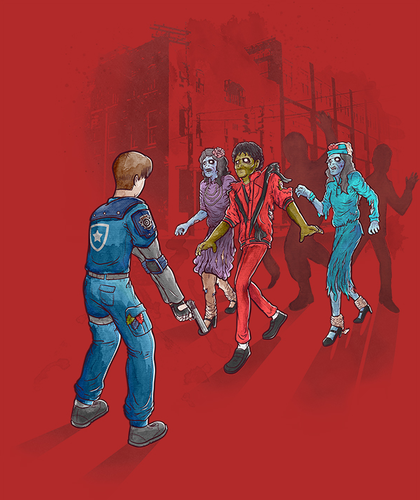 art not mine,,,,,Thriller is the name of the famous Song of Michael Jackson, the song contains zombies just like RE. :). Wallpaper and background images in the Leon Kennedy club tagged: leon scott kennedy resident evil leon kennedy resident kennedy leon michael jackson thriller michael jackson thriller.